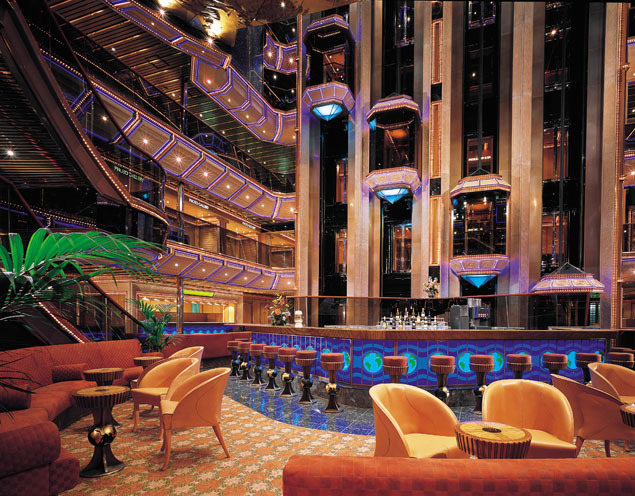 Carnival Triumph is a palatial opportunity to relax. Featuring an enormous LED screen and sound system so you can watch movies from your balcony, as well as The Universe Pool area, which has a 3-deck high waterslide, you will begin to enjoy your trip the moment you set foot on deck! With the theme on this ship of "The Great Cities of the World! 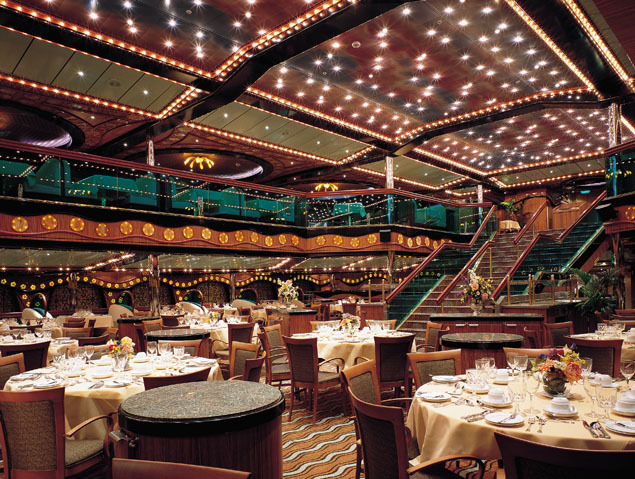 ", great dining and views, stunning décor and amazing service - expect only the best from Carnival Triumph! 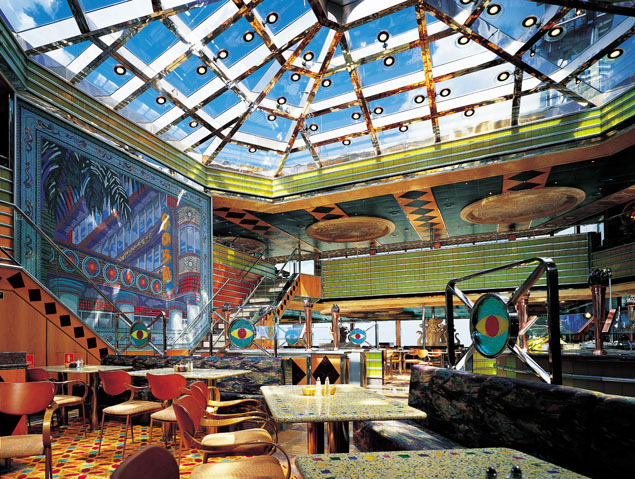 You can explore the whole ship at your leisure, because Carnival Triumph will keep you happy. With four swimming pools (one of which is kids only and another which has a sliding dome), a 214-foot spiral water slide, and an unbelievable seven Jacuzzis (including five outdoors), you can spend all the time you like soaking up the sun! The ship also has a padded jogging track, an aerobics room, a fitness center, a beauty salon and barbershop, and Nautica spa, featuring massage rooms. Read a book in the Washington Library, or play some video games in the video game room; play shuffleboard, volleyball and ping pong, or indulge in a board game in the card room! Want some mementos to take home with you? Look through the photo gallery and studio and pick your favorite pictures from your trip - or, go shopping in the Galleria Mall, which features duty-free stores! Drop the kids off at the Camp Carnival Program or at Children's World - which have activities just for the kids! Every room features a closed circuit TV and satellite TV so you can just relax and feel at home! Don't forget, if you want to see a movie, Triumph also offers the Seaside Theater, a 12'x22' LED screen with a 70,000 watt sound system that will give you the real movie experience. If food is your thing, check out these dining options: The formal dining rooms on Triumph offer an exquisite culinary experience including fresh lobster and a huge variety of wines, as well as great service! Fascination offers the Supper Club, which is a reservations-only, chic Manhattan-restaurant setting. Offering your favorite menu items from the steakhouse, the Supper Club guarantees pleasure with every bite. For the more casual diner, there are midnight buffets, a 24-hour pizzeria and even European Cafés so that you can satisfy whatever craving you have! For the youngest members of your family, the kids menu offers all of their favorites including pizza, spaghetti and meatballs, hamburgers, hotdogs, and much more! On Carnival Triumph, boredom is not an option. 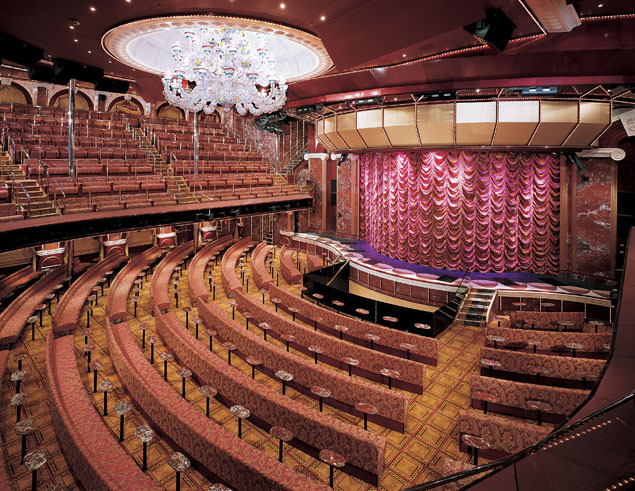 The ship's theme is apparent in each of its entertainment areas! Visit Brazil in the Club Rio, a cabaret lounge... or, visit Rome at the Rome Lounge, the main show lounge! The Capitol, the 9-story atrium, features the very chic lobby bar with plush seating, a sky dome, and glass elevators. 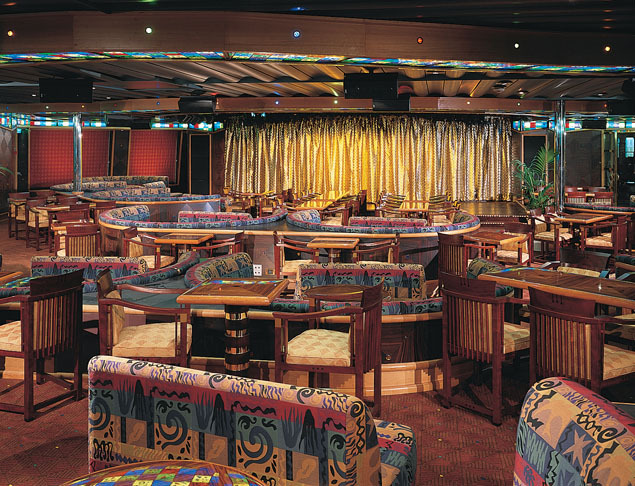 The ship has the California Bar (a wine bar reminiscent of the vineyards of California), the Oxford Bar (a cigar bar), the Olympic Sports Bar, the Venezia Bar, the Big Easy Piano Bar, and the Vienna Café (featuring cappuccinos and pastries). Check out a book in the Washington Library, or wander through the World's Bar and Way. Feel like playing a game? Go to Underground Tokyo, a video arcade. 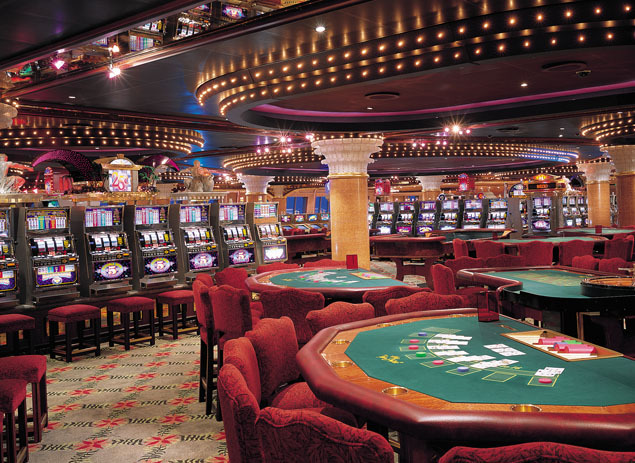 If you feel lucky, go to the Club Monaco casino for games of chance. End your night at the Hollywood Dance Club, a disco where the music will sweep you off your feet!